Minimum quantity for "Druk Mixed Pickle in Oil | 5kg | (DRUK-074)" is 1. Minimum quantity for "Druk Mexican Sauce | 2.5kg | (DRUK-073)" is 1. Minimum quantity for "Druk Soya Sauce | 200ml | (DRUK-072)" is 1. Minimum quantity for "Druk Tomato Chilli Sauce | 1kg | (DRUK-071)" is 1. Minimum quantity for "Druk Tomato Chilli Sauce | 500g | (DRUK-070)" is 1. Minimum quantity for "Druk Tomato Chilli Sauce | 200g | (DRUK-069)" is 1. Minimum quantity for "Druk Tomato Ketchup | 200ml | (DRUK-068)" is 1. Minimum quantity for "Druk Tomato Chilli Sauce Pouch | 1kg | (DRUK-067)" is 1. Minimum quantity for "Druk Green Chilli Sauce | 200g | (DRUK-066)" is 1. Minimum quantity for "Druk Green Chilli Sauce | 500g | (DRUK-065)" is 1. Minimum quantity for "Druk Green Chilli Sauce | 1kg | (DRUK-064)" is 1. Minimum quantity for "Druk Green Chilli Sauce | 5kg | (DRUK-063)" is 1. Minimum quantity for "Druk Mango Juice | 240ml | (DRUK-061)" is 1. Minimum quantity for "Druk Pineapple Juice | 240ml | (DRUK-060)" is 1. Minimum quantity for "Druk Orange Juice | 240ml | (DRUK-059)" is 1. 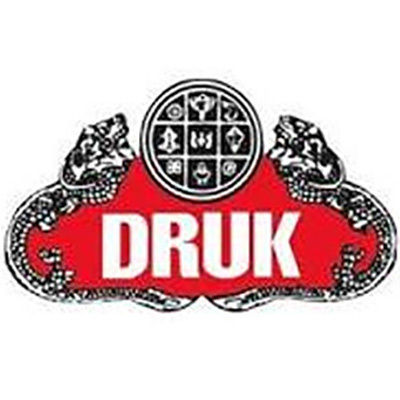 Minimum quantity for "Druk Mixed Fruit Juice | 240ml | (DRUK-058)" is 1. Minimum quantity for "Druk Mango Juice | 800ml | (DRUK-057)" is 1. Minimum quantity for "Druk Pineapple Juice | 800ml | (DRUK-056)" is 1. Minimum quantity for "Druk Orange Juice | 800ml | (DRUK-055)" is 1. Minimum quantity for "Druk Mixed Fruit Juice | 800ml | (DRUK-054)" is 1.